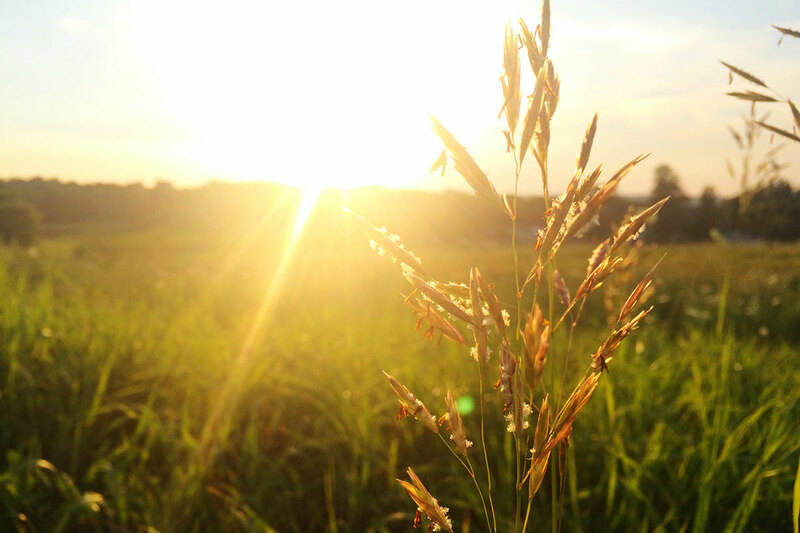 The last week has been quite quiet in the grain markets, with little in the way of new information. The lack of fresh data has had traders clutching at straws. In this week’s comment, we will take a general look at a potential source of volatility. One of the pieces of information which traders have been keeping a close eye on is the situation in Ukraine. The eastern districts of Ukraine have been a flashpoint over the last couple of years with continuing violence between Russian backed rebels and the Ukrainian government. In recent weeks fighting, has escalated. In recent years this violence has produced a number of black swan event which have driven prices, however the markets soon corrected as the flow of grain was largely unaffected. 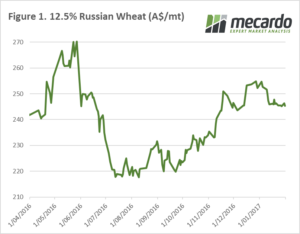 In figure 1, we can see that although violence has erupted, the Russian grain market has largely been unaffected. Although it is always important to keep an open mind to these type of events, I am confident that unless wide scale warfare breaks out that the Russian/Ukrainian situation will have a minimal impact on pricing. At a local level, we continue to see basis come under pressure. 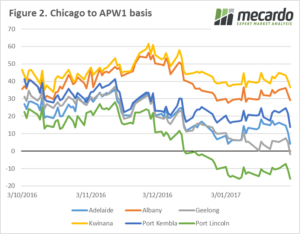 In figure 2, we can see that Geelong has now joined Port Lincoln in the negative basis club, with likely Adelaide to follow soon. The weight of harvest could likely keep basis levels depressed for sometime. All eyes continue to be on the northern hemisphere weather, and the condition of the crop. At the moment there are no real major emergencies, and the market is quietly confident about the condition for 17/18. The USDA world agricultural supply and demand estimates are released on Thursday, and we will update on them in next Fridays update.